Today my son reached out to my hand as i came back home from work. He tugged at my hand gently and placed his face next to mine. In his sweetest, angelic , softest voice he whispered into my ears " PaPa, i tell you a secret, I love you...."
Sensing the opportunity, i whispered back into his little ears" Son, i decimated your education fund.." knowing full well he wouldn't understand what i meant, and yet, offloading a heavy burden in my heart by confessing without any repercussions.....now for the Significant Other...Yikes .. I echo what Mak Yuen Teen wrote. I do think Hyflux is worth saving because it provides real value to society. It does have an obvious value proposition and real, hard assets that improves people's lives. 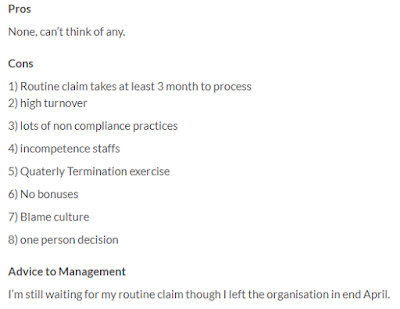 The issue is about the management and i reiterate what i wrote earlier, please step down to win the trust and respect of the public again. Hyflux will do better without you. 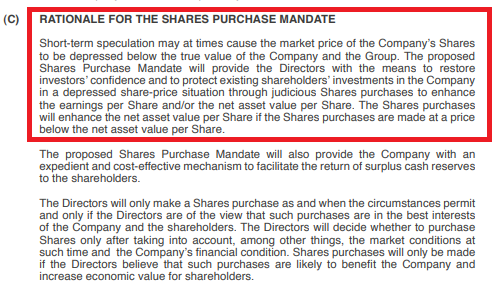 In Annual report 2011 page 149, it stated (in red box), under Rationale for Shares Purchase Mandate "............ the Shares purchases will enhance the net asset value per share if the Shares purchases are made at a price below the net asset value per share......"
As stated on page 152 of AR 2011 below, the effect of the Net Asset Value per share before and after the share purchases has decreased from 60.6 cents / share to 50.2 cents/share (underlined in red) AFTER the share purchases. 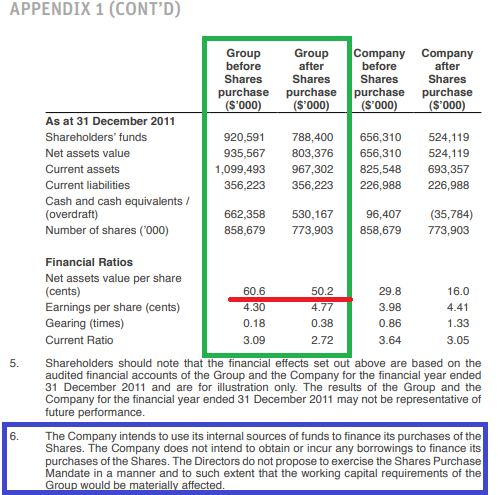 Hyflux further states ( in blue box), "The Company intends to use it internal sources to finance the purchases of the shares.The company does not intend to obtain or incur any borrowings....."
It is reasonable to think that Hyflux , bought back shares through their daily share buyback programme while knowing full well that not only will it NOT ENHANCE the net asset value per share (NAV), it results in a destruction in value as seen above. Can you provide other reasons for conducting Share buy backs that are more important than enhancing net asset value per share of Hyflux? 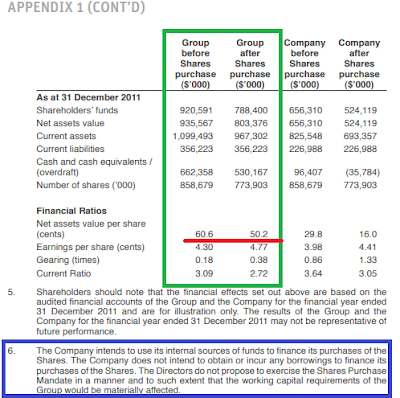 Based on the Shares Purchase Mandate, " ...protect existing shareholders' investments in a depressed share-price situation...", can you share how the management, when Hyflux bought the shares, believed that Hyflux was in a depressed share situation when its share price was significantly higher than its NAV/share? 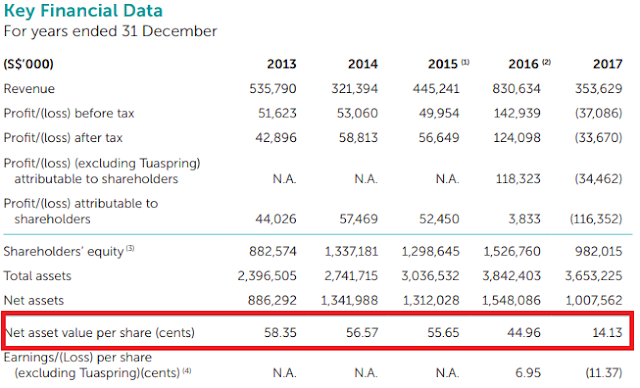 Example: NAV/share in 2014 was 56.57 cents per share (based on Figure 4 below) and the average price paid in 2014 was $1 per share , 76% more expensive that the NAV. Large premiums were observed in the other years too. Sub-question 3 Can you also share the metric that Hyflux uses to determine the true value of Hyflux when Hyflux did the share buybacks? This is because in the red box in Figure 1, it stated"Short term speculation...... depressed below the true value..."
Now,if Hyflux has no good reasons to justify that Hyflux was in a depressed share-price situation when the purchases were made, did the board follow the mandate? Can you elaborate where these internal sources of funds ( in blue box in Figure2) come from to do share buybacks and how are these funds separated from the $400 million raised earlier in the year from unsophisticated, retail investors? Since $400 million was raised externally from unsophisticated , retail investors through preference shares ( N2H) within the same year , essentially, a "borrowing", how can Hyflux be so clear to state that these sharebuy backs were internal sources of funds and there is no borrowing. Cash is cash, even if you separate it into different accounts, it still serves the same purpose. As can be seen above, the average price paid per share has ALWAYS been higher than the Net Asset Value per share. 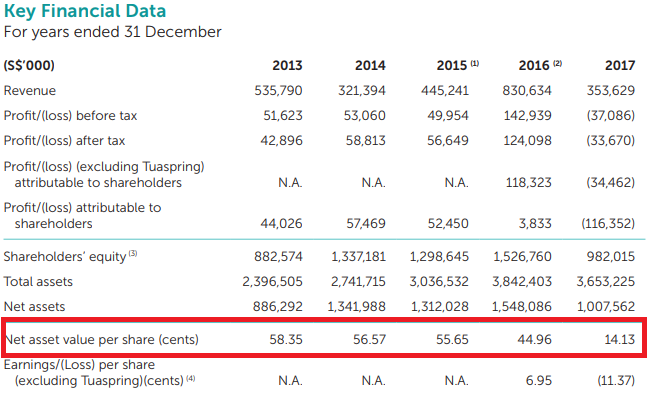 Along the years, the NAV /share has been decreasing and along the years from 2011 to 2015, Hyflux has been doing share buybacks. It is really distressing to me to see Hyflux buy the most shares when the shares were their average highest in 2012. Let us put aside that there were about 20,000 unsophisticated N2H retail shareholders and another about 20,000 unsophisticated retail BTWZ affected by this incident who may have used their CPF and SRS funds. Let us also put aside the number of people who have invested in the ordinary shares (600) and who have given the board and management the mandate over the years.Let us also put aside the frequent sayings that the assets are strategic. Why i think Hyflux deserves to be saved? 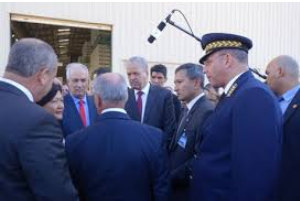 Purely because, it provides real value which we use and improves people's life. The issue is with the board of directors and management that has to be changed to save this company. 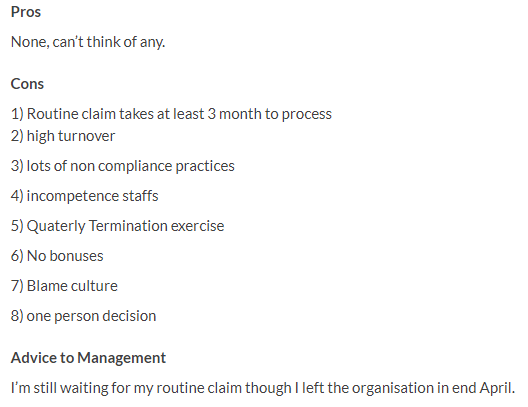 From Glassdoor reviews of employees who have worked in Hyflux these are some common statements. Please go read yourself. Leave you with some words of wisdom from an anonymous poster from the telegram group called King K.
"I always wonder - if A asks a question and B answers yes/no but it turns out to be wrong. A relies on it to his detriment as he doesn't bother to check himself. wonder if this happened to others before. Or does A rely on B's answer to be echoed by C D and E and if enough people say so, it must be so. I get how people can rely on other people's information as a starting point but shdn't A also try to verify it himself with a more credible source? wonder Wonder"